Asianet bringing latest block busters for celebrating vishu and easter 2018, udaharanam sujatha, aadu 2 , mersal (malayalam dubbing), Bhaagamathie, and mudhugauv are in the present schedule. earlier we have updated that aadu 2 sold to zee malayalam, but some changes happens in the last moment and asianet grabbed the same. we will update complete easter and vishu program schedule of asianet very soon here. Aadu 2 – Vishu 2018 premier movie on asianet, it’s the sequel of Aadu, released in 2015. 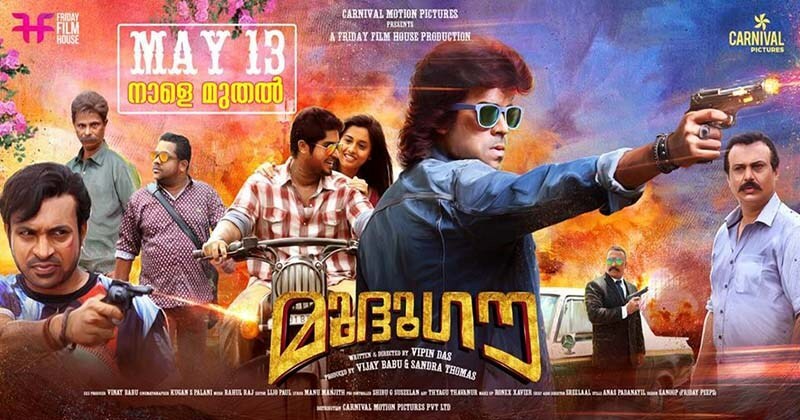 Aadu didn’t make any impact at box office, after dvd release film received positive reviews. but it’s second part did huge business and still running with positive reviews. this will be the trump card of asianet for vishu 2018, aadu 2 may be premier at prime time. jayasurya, dharmajan bolgatty, saiju kurup, vineeth mohan, hari krishnan, bhagath manuel, vijay babu and vinayakan in the star cast of aadu 2 movie. Mersal – Vijay starring mersal movie malayalam dubbed version will premier on asianet, it’s presently scheduled on easter 2018 day (1st april). Vijay playing triple roles in mersal movie (vetri, doctor maaran and vetrimaaran). samantha akkineni , nithya menen and kajal aggarwal playing female lead roles. we will update about the telecast time and other details very soon here. Director Atlee and Vijay joins again after the huge success of theri, enjoy the malayalam dubbed version mersal only on asianet. Udaharanam Sujata is scheduled for vishu day, directed by phantom praveen and produced by martin prakkat/joju george. manju warrier played the title role of sujatha krishnan and anaswara rajan, nedumudi venu , mamta mohandas , joju george , sudhi koppa in supporting start cast. Mudhugauv will be the easter 2018 premier of asianet, acting debut of Gokul Suresh, son of Malayalam actor Suresh Gopi. It’s produced by Friday Film House, Asianet bagged the rights and bringing it’s television premier. please publish mazhavil manorama channel vishu premier movies. punyalan private ltd can expect on surya tv for vishu day. aadhi premier show on amrita tv confirmed.